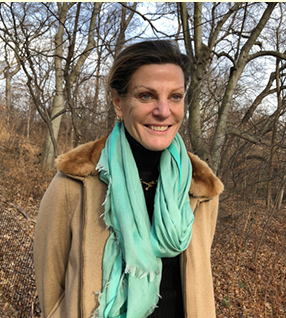 As the Conservancy’s incoming president, Betsy Smith knows that she will not be heading an ordinary, stand-alone, not-for-profit organization. Rather, she will be in charge of one that must, according to its original charter, work in tandem with the city, which has ownership and ultimate policy authority over all municipal parks. Smith became an assistant commissioner of the New York City Department of Parks and Recreation during Michael R. Bloomberg’s tenure as mayor. Beginning with Park Commissioner Adrian Benepe’s appointment of her as a member of the team the department assigned to interface with Blonsky and the Conservancy’s staff on the management of The Gates project by Christo, she oversaw numerous subsequent events as well as the food concessions and vending operations in Central Park. This perspective was confirmed when Smith became an assistant commissioner of the New York City Department of Parks and Recreation during Michael R. Bloomberg’s tenure as mayor. Beginning with Park Commissioner Adrian Benepe’s appointment of her as a member of the department’s team assigned to interface with Blonsky and the Conservancy’s staff on the management of The Gates project by Christo, she oversaw numerous subsequent events as well as the food concessions and vending operations in Central Park.